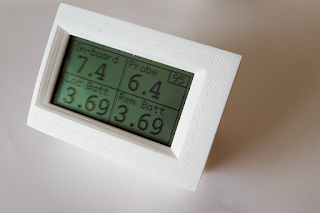 Some time ago I came across a blog run by Pete Scargill (tech.scargill.net) which dealt with many tech gadgets to do with IOT and home automation. 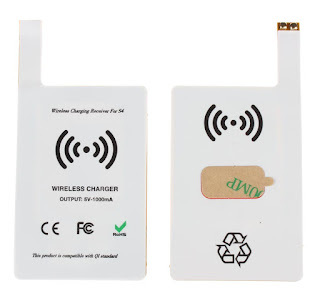 There were a couple of subjects I found very interesting, Node Red and MQTT, these seemed to very useful tools to help develop home automation solutions. Node Red turned out to be pivotal in my ability to glue everything together, there are so many different nodes that can be used to link into different services. I'm running Node Red on my Raspberry Pi but it can also be installed on your PC and there is also a hosted installation of Node Red found here that allows to to try out an instance of node red without installing it on any platform at all, it runs in your browser and there is free account option. The FRED Node Red runs even when your PC is switched off, there are some limitations around hardware inputs that would normally come from your PC like serial data and data from your OS, also you cannot install any of your own nodes. Another important aspect of home automation was remote access to the data, whilst you are in your home on your own network this is not too difficult but when you are out and about and want to know what you hot water temperature is or if your central heating is on then it's a bit trickier, unless you expose your network to the outside world that is. This is where cloud hosted MQTT servers came in for me, they allow me to send and receive data to and from the outside world easily and securely (at least I hope it's secure). 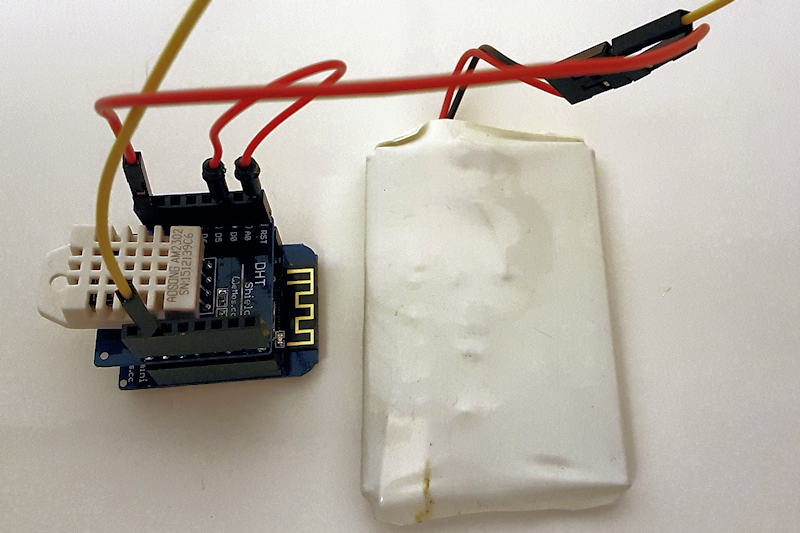 So to learn how to use the tools I set a goal to measure the hot water temperature in my storage tank and transmit an MQTT topic via WiFi and using Node Red to receive it and process it, if required before displaying it on my phone using Thingstud.io, the next step will be to have a button in the app to switch the hot water heating on/off manually and/or automatically switch it on from Node Red. In the Fritzing diagram above I've shown a battery for the supply but I actually use a 5V mains USB supply plugged into the USB connector and the DS18B20 Temperature sensor I used is the probe version so that the sensing part can be fed through the tank's insulation to touch the copper tank near to the top. CloudMQTT.com private broker with password access. I settled on Cloudmqtt using a free account but found that the app I created in Thingstud.io wouldn't work on my Android phone, I got in touch with the thingstud.io support and they were very helpful and said it worked on their Android phone and offered to help debug my phone to find out why but I didn't really want to spend the time trying to fix it so I tried the public server version of HIVEMQ and that worked great. If you are new to MQTT then HIVEMQ have some really good introduction documents here that explain everything. Before using the Arduino IDE to program your ESP12 you will need to add the details to your boards manager, details can be found here. Then you can program your ESP with this sketch, don't forget to edit the SSID and passwords sections in the code to suit your network and mqtt broker. This sketch uses the Cloudmqtt broker. 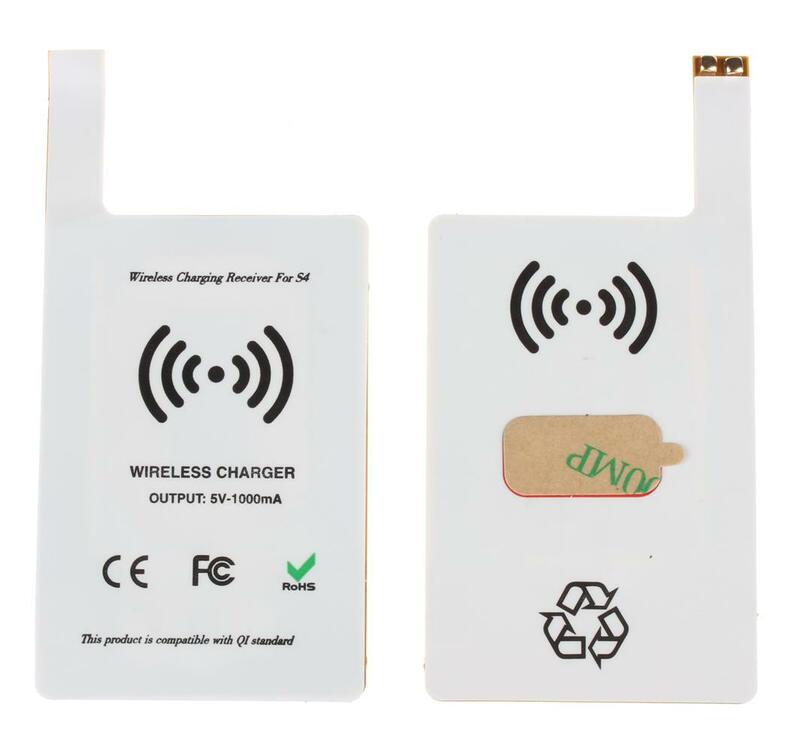 or if supplied from a mains adapter you can remove the sleep command altogether. I have also commented out the code that switches on the LED. 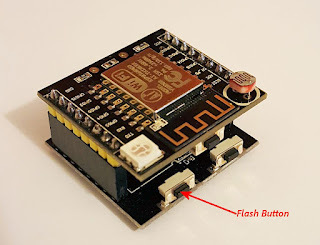 - Open the "Tools > Board > Board Manager" and click install for the ESP8266"
- Select your ESP8266 in "Tools > Board"
ADC_MODE(ADC_VCC);//Set the ADCC to read supply voltage. In the next part I'll go through setting up Thingstud.io to display the data on your phone. Over the years I've made a few projects all centred around the Arduino, in its many forms and more recently I've started to use the very useful ESP8266 device, both of these are happy to run on 3.3V (ESP8266 should be 3.3V). 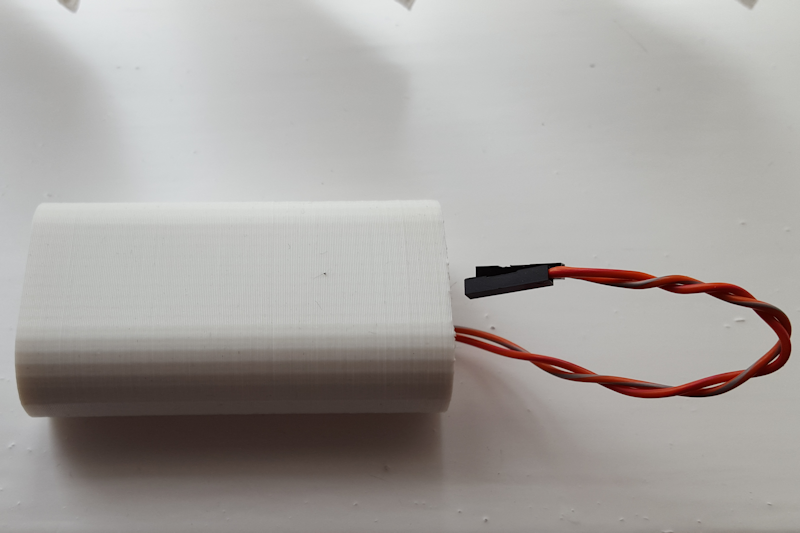 As I use batteries to power the various project around the house and garden I've accumulated a number of different batteries, mainly Lithium Ion ones at 3.7V. 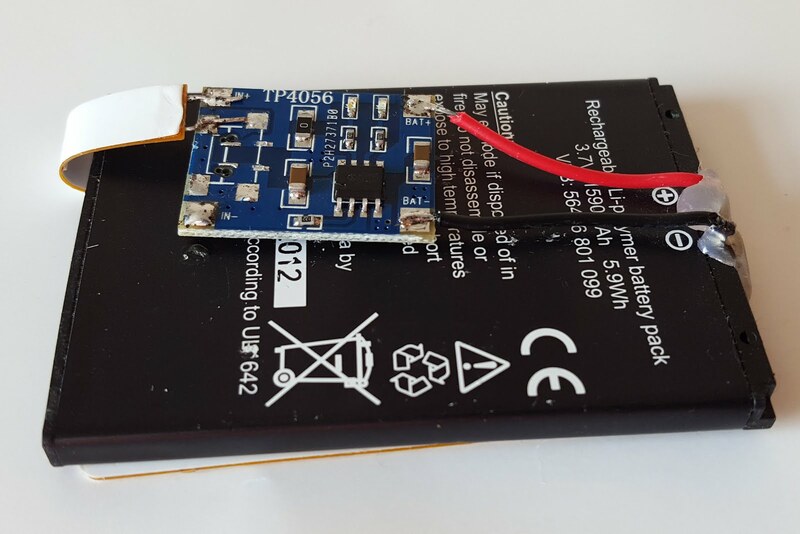 I use some 18650 cells from an old laptop battery that comprise two cells wired in parallel and some mobile phone type batteries that are thin and light. I'm continually charging these batteries up and running them down and I had an idea the other day when I came across an old QI charge receiver I had used in a Samsung S4 to wirelessly charge the phone. 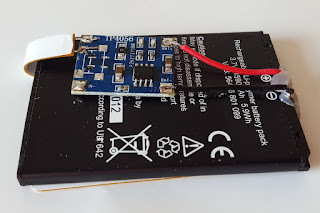 I wondered if I could connect the output to a lithium Ion battery charger PCB, from China and stick the pad onto a battery, this would allow me to just place the battery on a QI pad to charge it up and even place the device using the battery on the pad to keep it powered/charging. 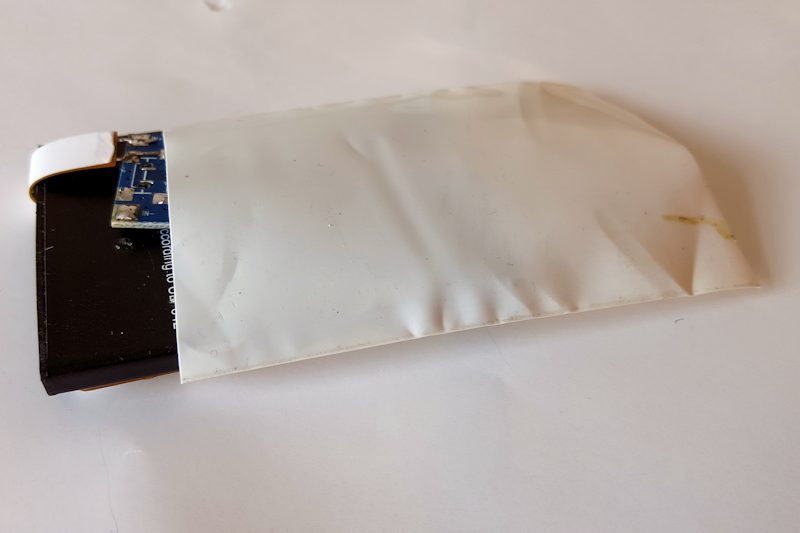 It was quite simple to remove the USB socket from the PCB and solder to the charge pad and connect to the battery. 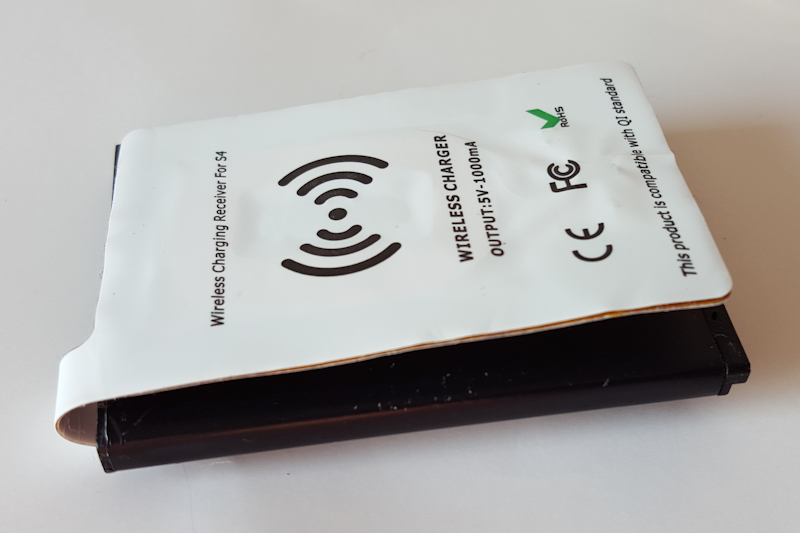 After that I used some heat shrink tubing used for battery packs to hold it all together. The final package can then be used to power the project. 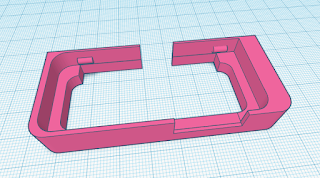 The next step is to 3D print a new case for the two 16850 cells to include the charge pad and PCB and look at using a 5V supercap and charge pad to power my temperature monitor project.